Take a seat and you will find that you are sitting on a chair made out of 111 recycled Coke bottles. When these Emeco chairs first entered the market, they diverted 3.5 million bottles out of landfills! During the demolition phase of the Danforth renovation, 75% of the total waste material was diverted back to the manufacturing process. This prevented 100.95 tons out of 133.84 from being disposed in landfills and incineration facilities. The design of Danforth utilizes natural light in a way that reduces the light energy consumption. Meanwhile, the spaces that are lit use LED lighting and day lighting controls. UR Dining has installed a pulper that turns napkins and food waste into compost while conserving water and preventing excess trash from entering the waste-stream. 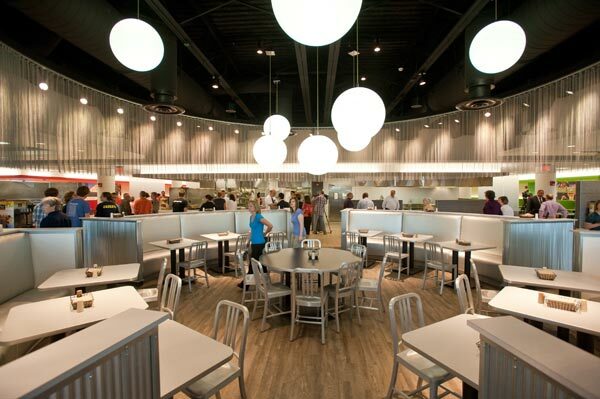 These are only a few of the main sustainable solutions that were woven into the renovation, greatly reducing the environmental and energy impacts of the dining facility. Rochester’s first LocaFest was held on Sunday afternoon from 1-5PM in Genesee Valley Park, sponsored by the Center for Sustainable Living. University of Rochester Students and the Rochester community came together to discover the different ways to live sustainably. There were representatives from a variety of local vendors, including Honey-hill Farm, Foodlink, Northeast Organic Farming Association of New York, Fellenz Family Farm, and Abundance Cooperative Market. All within the Roundhouse pavilion, you could find live music, sustainable crafts, and displays for an assortment of activities such as worm-composting and food canning. Apple cider, sloppy-Joe sliders, lentil Soup, and carrot bread, were a few of the free samples given away at LocaFest. Some of the food displayed can even be found in Connections, right here on campus. Alison Clarke, a community organizer and a part of the Center for Sustainable Living, had been working on this project since the spring, with the goal of showing people how to be creative with fresh foods and how important it is to support local business. There will be another LocaFest held in the coming months, so keep your eyes peeled! It is the gorilla in the room. The enigmatic black box. The lost city of Atlantis. It is the enigmatic black gorilla in the Atlantis room box. 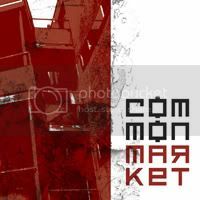 The Common Market. I don’t think I’ve ever written about it before. I’ve barely even thought about it before. One reason is that Dining Services has essentially nothing to do with it. Although it accepts declining, it is run by Wilson Commons. No less, it offers food, it is on this campus, and there is room for improvement. I can only talk about what I’ve thought up, so this is clearly not comprehensive. Please leave ideas in the comments! I won’t go into much depth (at all) because my main interest is in getting your ideas. Hopefully mine will help you brainstorm. •Can more food be offered in bulk rather than individually packaged? •What are the bag options? Is plastic offered? So it’s a short list. But let’s think of it as a shortlist. Now it’s your turn. What do you want to see done in the Common Market? Hi folks. I’m not going to write about sustainability today, per se. Instead, I want to defend Dining Services a bit. If there is any sustainability tie in, it’s that Dining uses some high quality ingredients. Keep that in mind while you’re reading. Dining takes a lot of flak. Part of that is invariably because it’s the only food service gang in town, and freshmen like to bond over their hatred for something. But how deserved is that hatred? At least part of it is unfair. Dining Services (serving 3 meals a day to about 4,000 undergrads everyday) is not always able to present food the way a restaurant presents it. You don’t get a porcelain plate, you don’t get a cloth napkin, and you don’t get mints on your check. That makes it easy to criticize the food (even if the ingredients are of a high quality). But what if we reversed the situation? What if the food itself was terrible, but it looked good? That’s the concept behind Fancy Fast Food. The writer of the site goes to fast food restaurants and buys a meal or some kind of meal combo. McDonalds, Taco Bell, whatever. This is food that is almost universally recognized as the bottom of the barrel. It’s unhealthy. It’s made with low grade foods. It’s not even really food. He then takes the food home, and using only what was in the meal (ketchup packets, burgers, fries, etc.) cooks, blends, and garnishes till he’s blue in the face. The website is basically a before and after of the food. It is an immensely entertaining read. Reading the site, one cannot help but ask, “what is important to us about our food?” I do think preparation counts (note, Fancy Fast Food is a self described “humor blog”), but not at the expense of quality. To cut to the chase, I’d rather eat in Danforth than off the Fancy Fast Food menu. Just consider that the next time you’re griping about the food.